Larry ODonnell, President and C.O.O. of Waste Management, works alongside his employees, cleaning porta-potties, sorting waste, collecting garbage from a landfill and even being fired for the first time in his life. When Cory G. Brooks, the president and CEO of Hooters goes undercover, he struggles to keep up in a fast-paced kitchen and is forced to take action when a restaurant manager steps out of line. While undercover within the company, the CEO of 7-Eleven discovers one of his corporate policies is not being implemented on the front lines; a delivery drivers approach to life inspires the executive. While under cover in the company, White Castle owner Dave Rife mishandles bakery equipment. Bill Carstanjen, President & COO of Churchill Downs, goes undercover at his own racetracks. This however proves difficult as he is afraid of horses. Joel Manby, President and CEO of Herschend Family Entertainment goes undercover in his own company where he meets a young man aspiring for his job, and finds that it might be easier to run a boardroom than to captain a boat full of kids. The president of Roto-Rooter works under cover with several employees who force him to reflect on his past and his legacy. 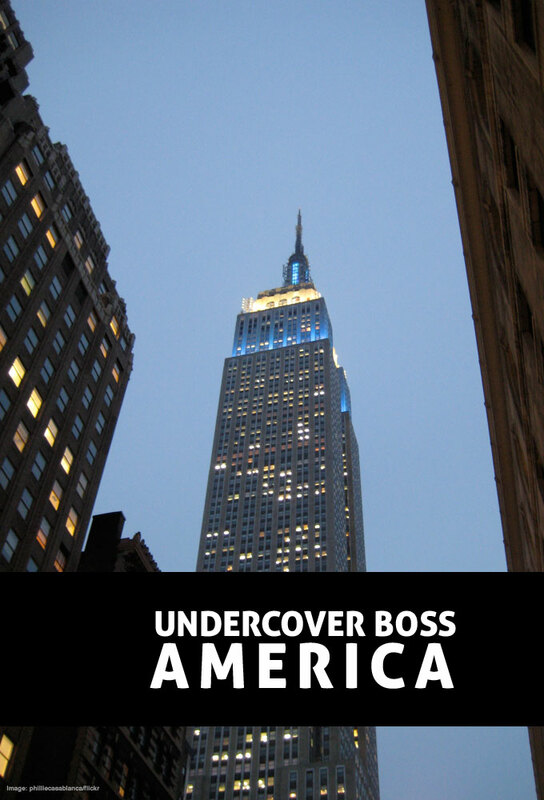 Chris McCann, President and COO of 1-800-FLOWERS, Americas largest florist and online gift shop, goes undercover and is later forced to reveal his true identity on the season finale of Undercover Boss.